The anticipated shortage of water in the Colorado River has made the states to pass the drought deal in their respective legislatures. But, after continuous days of snow in Arizona and neighboring states, the water flow seems to have improved in the Colorado River. The snowstorm covering the Rocky Mountains with snow from Wyoming to northern New Mexico has left enough runoff water leaving the levels of water in the river boosted this spring and summer. The heavy snow fell off the past two months has helped to accumulate snow across the Upper Colorado River Basin to nearly 140 percent of average. As per estimates by Federal officials, snow would be enough to postpone the declaration of a shortage of water at Lake Mead next year; this would lead to holding off water cuts in the Southwest for another year. Federal water officials and representatives of western states are likely to end the drought contingency plans even with snowpack o above average level. The contingency plan is designed for preventing Lake Mead and Lake Powell from getting down to critical lows in the next few years. This month started with federal Reclamation Commissioner Brenda Burman’s target to all the seven states through which River Colorado is flowing. However, the states managed to pass the bill prior to the target time. Now the lawmakers are to sign a letter to Congress in a meeting in Phoenix for the implementation of the agreement. The water officials of Arizona, California, and Nevada have been considering the Lower Basin Drought Contingency Plan since 2015. 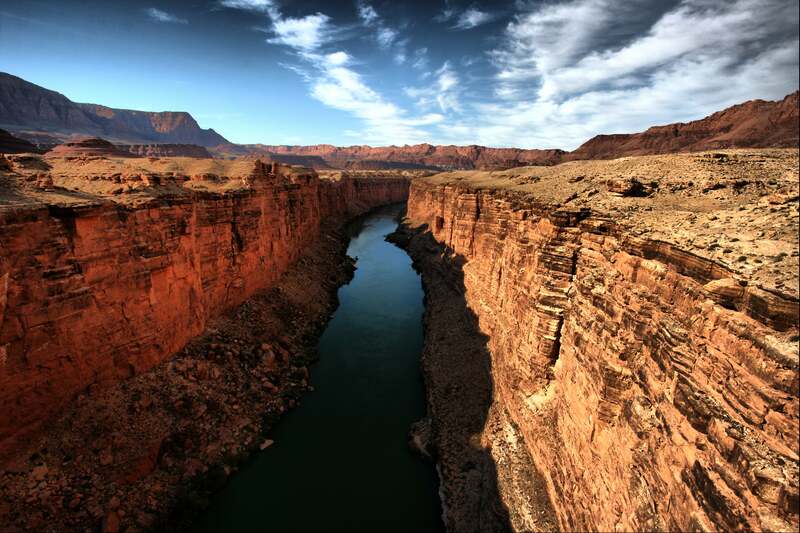 Under this agreement, each of the Colorado flowing river states would take less water than allotted. As of now, the reservoir near Las Vegas is 41 percent full, and Lake Powell stands 38 percent. Last week, as per the Bureau of Reclamation’s estimation, Lake Mead will have a water level of 1,081 by the end of 2019 which is a mild hike form the trigger point of shortage at 1075 feet. In mid-February, federal officials had projected that a shortage is very possible to happen to project the level of water to be 9 feet below at the end of this year. But, the following days brought an enormous level of snow to Arizona. The snowpack was measured across the Upper Colorado River Basin in a range of 106 percent of average in the Upper Green River’s watershed to 160 percent of average in the Animas River area. It even touched 180 percent of average in Southeastern Utah. The Bureau of Reclamation is likely to announce in August whether a shortage should be declared or not.